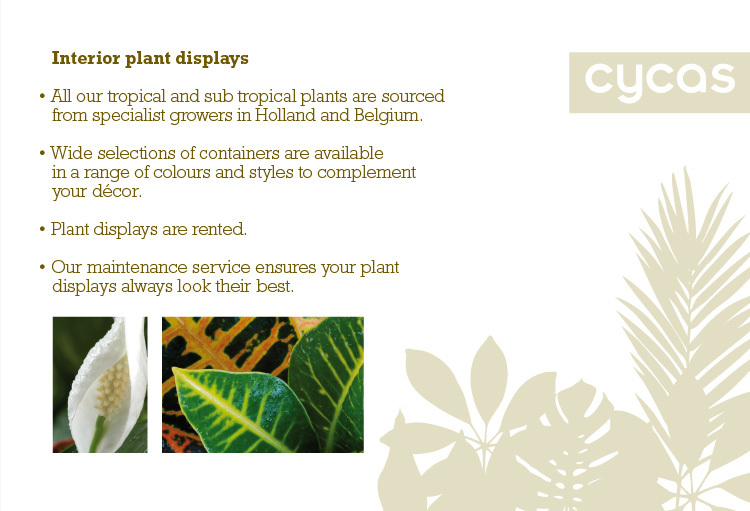 Cycas Interior Plant Displays All our tropical and sub tropical plants are sourced from specialist growers in Holland and Belgium. Wide selections of containers are available in a range of colours and styles to complement your décor. Plant displays are rented. Our maintenance service ensures your plant displays always look their best.